Nothing makes a statement quite like bespoke fireplaces. Especially hanging fireplaces from the ceiling. 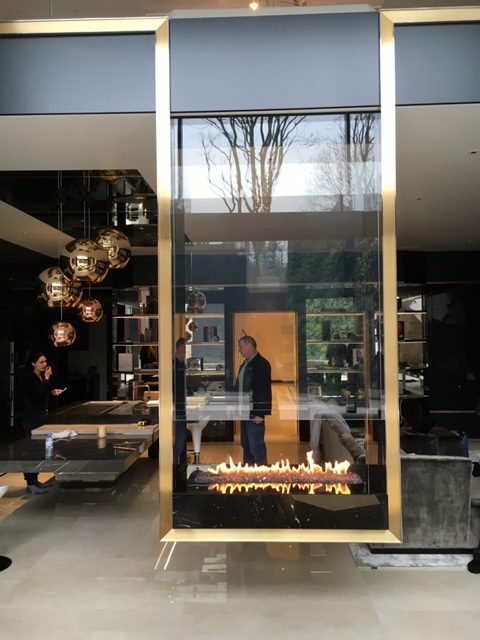 That is why we were very excited to be part of this project that required not only one, but two glass hanging fireplaces for the interior of this London property and a stylish fireplace for the outdoor space. The project itself was brought to us by one of our oldest and most reliable suppliers Chimflue. We were asked to take on the entire job, working very closely with the main contractor, HPM Developments as well as with Chimflue themselves. 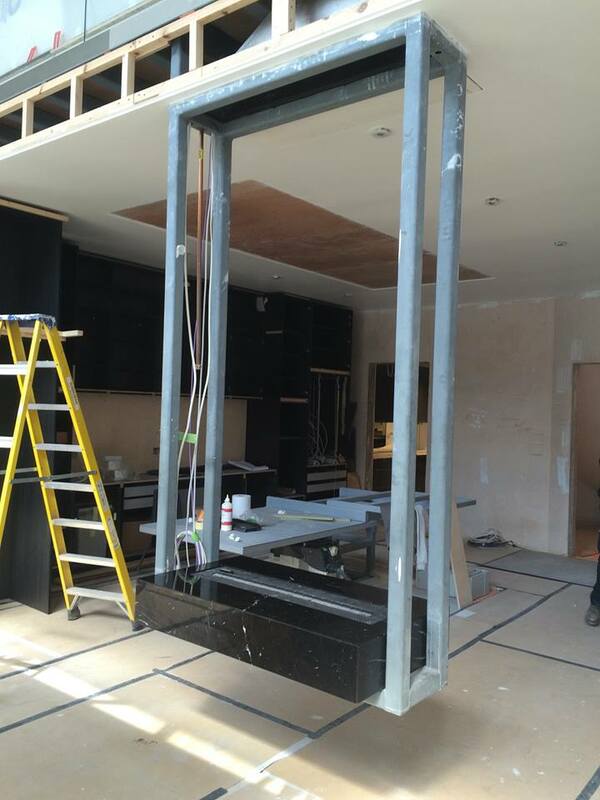 We also worked with another trusted supplier Cantifix, who supplied the glass. We played a substantial part in the planning, designing and building process of these fireplaces, along with the final installation. Our expertise was hugely appreciated at all stages of the project. From planning the fires and the flue routes through to signing off on the finished articles. For the interior fireplaces, our work included the completion of new twin wall flue systems and Exodraft fan units prior to the installations. Both fireplaces for the interior were designed to be hung from the ceiling within steel frames. 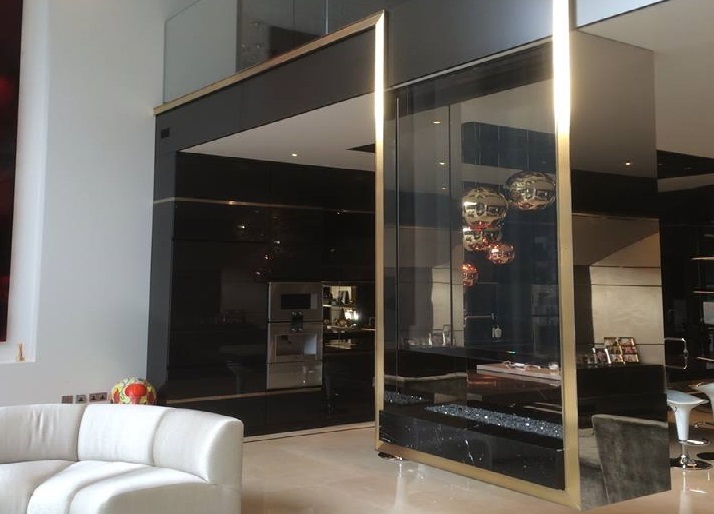 They included large sheets of glass to make them both double sided fireplaces. Both hanging fireplaces became a focal point between two spaces/rooms. The main living room fireplace comprised of polished steel panels and almond metal inlays. It had a beautiful ‘Nero Marquina’ marble plinth and a fully remote control in line burner. The expansive glass allowed for a great view of the flames and maintained the light flow between the two living areas. The second interior fireplace was constructed and installed in the bedroom. This also had polished steel panels and a remote control in line burner. 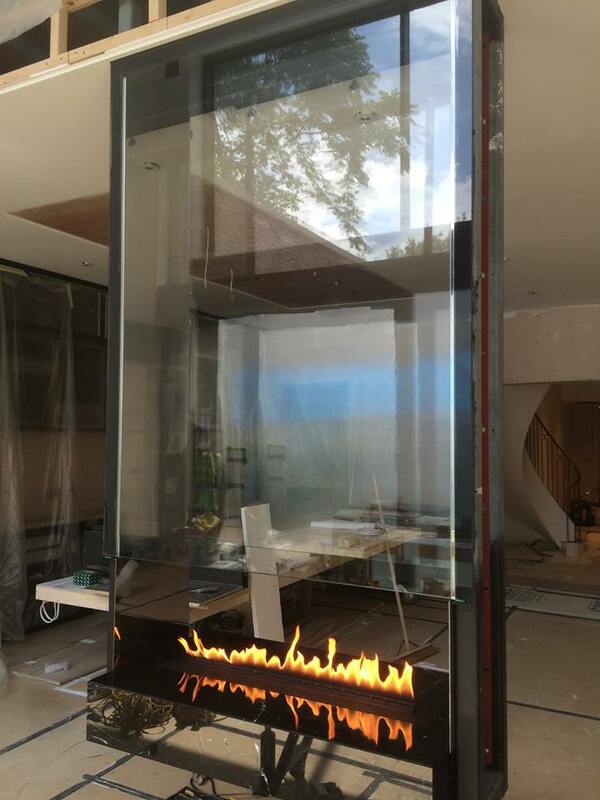 However the interesting feature for this particular fireplace was that the glass had fabric placed on the inside. This meant the view through the fire was made opaque rather than see through. The modern outdoor fireplace was designed in Holland and made using only high quality water resistant components. For this we completed the installation of an outdoor, in line gas burner. 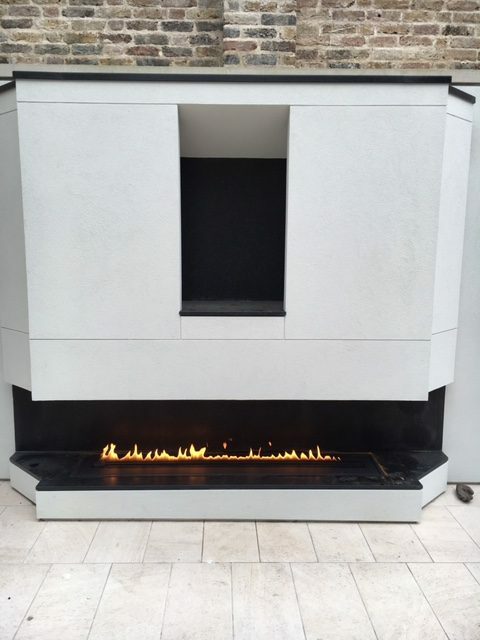 The overall result presented a tastefully designed fireplace that perfectly matched the outdoor living space. The Billington Partnership enjoyed working closely with all parties involved in this London project. The project took a total of 18 months from start to finish. As a result the three feature fireplaces which will stand the test of time and be a great talking point. 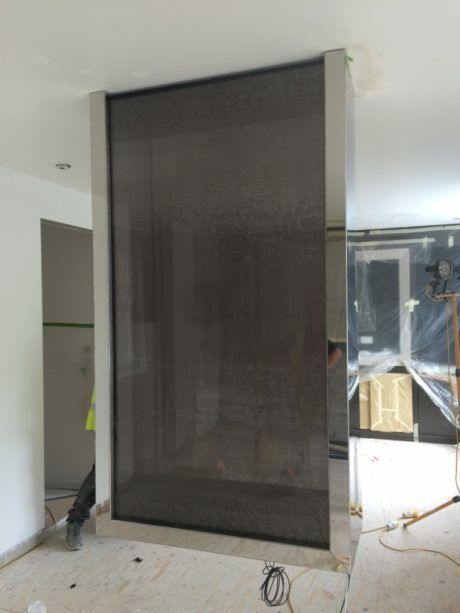 If you are considering installing a bespoke fireplace, no matter how big or small the project might be, then give The Billington Partnership a call today to see how we can help on 07545 855623.